To immediately speak with someone about avoiding license points and an insurance increase call (704)714-1450. To gather more information please read below. If you have received a Gaston County (Gastonia) speeding ticket or other Gaston traffic violation you may have a number of questions dealing with your insurance, license and driving record. Every ticket is unique and as such specific questions about your case should be addressed to a Gastonia speeding ticket lawyer at Rosensteel Fleishman PLLC, however we have addressed some of the more common questions in the articles to the right. Hiring a traffic attorney at Rosensteel Fleishman, PLLC to handle your Gastonia speeding ticket or other Gaston County traffic violation is a simple way to ensure your traffic violation is handled correctly. Our experienced traffic lawyers will handle your Gaston traffic violation expeditiously while always keeping your insurance rates, driving privilege and expense as our top priorities. We have handled thousands of traffic tickets for individuals including speeding tickets, red light violations, stop sign violations, reckless driving etc. The most common ticket in Gaston County (Gastonia) is a Speeding Ticket. Because speeding tickets in North Carolina often require attendance in court and can have serious consequences, the way that each ticket is handled is very important to the person who was cited. North Carolina has 100 counties. Each county has a specific way to handle a speeding ticket or other traffic violation. Gaston County consistently ranks either first or near the top of speeding tickets given out by the state highway patrol. A number of our clients receive their Gaston County traffic tickets on I-85. A large majority of our Gaston speeding ticket clients are non-NC residents. At ticket in Gaston County often requires two appearances in court. Our traffic lawyer will appear on our client's behalf at the initial administrative date then appear at the hearing to dispose of the Gaston traffic ticket. Our Gaston traffic attorneys have the experience and know how to handle your Gaston speeding ticket or other traffic violation. In fact, we are often able to resolve the matter before having to attend court for a second time. Every Gaston County traffic ticket is handled in Gastonia, where the District Court is located. 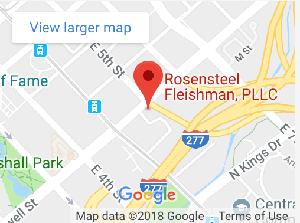 If you hire a Gaston traffic attorney at Rosensteel Fleishman, PLLC we will usually be able appear on your behalf and handle the ticket without your presence in court. Call or stop by the office to speak with a traffic lawyer about your Gaston speeding ticket. There is no obligation and the consultation with the traffic lawyer is free. The traffic lawyer will go over your case with you and explain the penalties you are facing and how Rosensteel Fleishman, PLLC can handle your Gaston County traffic ticket. Gaston Speeding tickets affect not only your license but also your insurance. North Carolina is on a point system. Points on your insurance will result in an insurance increase. Points on your license, depending on the number of points, will result in the suspension of your driving privilege. What most individuals are not aware of is that a single Gastonia Gaston speeding ticket can result in the suspension of their diving privilege. That is why it is best to speak with an Gaston traffic attorney who will explain the best way to handle your ticket. At Rosensteel Fleishman, PLLC we take the time to listen to our clients to help guide them through the legal process. We work each case from every angle to put the law to work for our clients. We will let you know how each judicial result affects you and how best to proceed. Depending on your violation we can even handle your case without you being present in court.